Shown above: Text of the emails (example 1 of 2). Shown above: Traffic from checking all the malspam attachments, filtered in Wireshark. NOTE: These are the same domains found in an email from a previous wave of Locky malspam I blogged about on 2016-08-08. Shown above: This is something I haven't noticed before during a Locky infection. 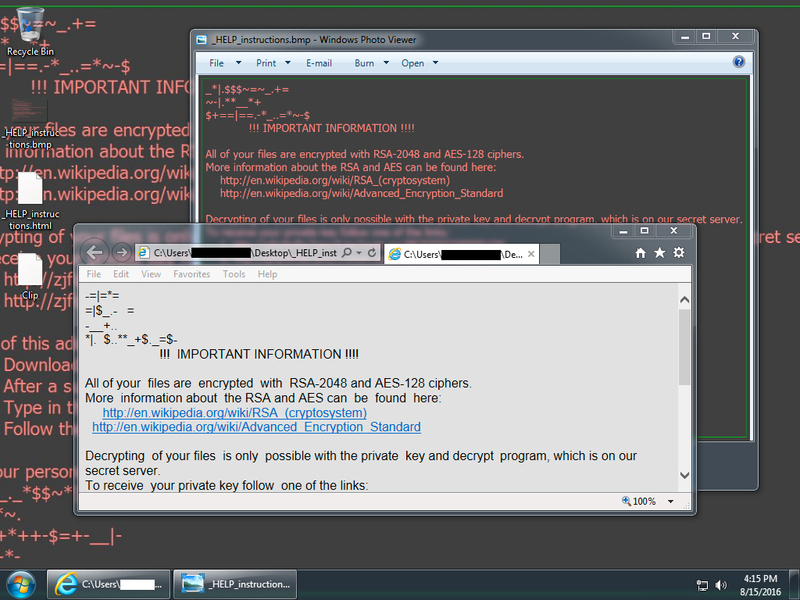 Shown above: Names of the encrypted files showing this is the Zepto variant of Locky.